Taking the first step toward creating a rewarding career in Animal Massage or Acupressure can be exhilarating and frightening at the same time. 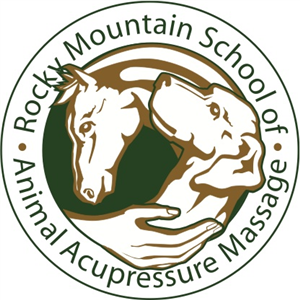 The Rocky Mountain School of Animal Acupressure and Massage offers rewarding and challenging educational programs suitable for everyone. If you are looking for a career change, adding a new service to your existing business, building your own animal massage business or if you are just interested in animal massage for your own personal growth, the Rocky Mountain School of Animal Acupressure and Massage is the solution you have been looking for. RMSAAM has certificate programs in Canine and Equine Massage, Acupressure, Reiki and more via correspondence and at our campus locations in Elizabeth and Longmont, CO and Cape Coral, FL. programming, classes and certificate programs.